Turner Accountancy are chartered accountants, tax specialists and business advisors. From tax ASSISTANCE to wealth management, bookkeeping and VAT Returns. we prepare the business accounts so you don't have to. From our offices in Lanarkshire, you'll work with a firm who have a genuine interest in you and your business and believe that together, we can help you move forward and grow. You'll get great value for money, meaning the benefits will be far greater than any monies invested in our services. You can expect a proactive approach to understanding your financial information, business growth, tax planning and wealth management. For information on finance options, please click on the image above. You can benefit from a range of business growth services designed to enable you to achieve business transformations faster and with better results. When you become a customer at Turners, you quickly get to know the team. Along with the Partner, Damian Turner, you will be appointed your own service manager so there is always two people who know your business. You can call at any time to use us as a sounding board, or ask any questions, which need to be answered to help your business. You'll always get fixed upfront prices with no hourly rates giving you constant contact without worry of a ticking clock. It takes careful planning and expert advice to help you to make the most of your money and to achieve financial goals. Lowering and deferring tax is a key aim, but with some careful planning, you can free up cash for your business or your personal plans, as well as providing you and your family with long-term financial security. 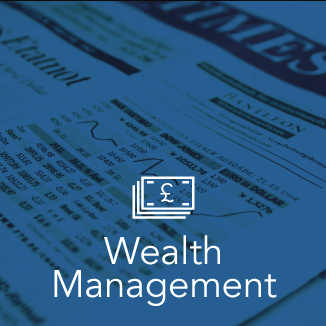 Although your exact requirements will require discussion in relation to your individual circumstances, we have prepared a snapshot of the key areas to consider when you turn your thoughts to maximising business, personal and family wealth. Consumer and investor confidence is the highest it has been for years, giving many people more breathing space to consider the future. However, the ongoing message from Chancellor George Osborne has been that 'the job is not yet done'. With things looking up it is more important than ever to have a solid financial planning strategy for your business and personal affairs. Steps can be taken now to capitalise on an improved economy and help mitigate the impact of any future disasters. Running a successful business requires a robust strategy for all financial possibilities, in times of prosperity and austerity. If you would like to find out how Turners could help your business then we can arrange to meet at a mutually convenient time and place. Our initial meetings are free, and we will always agree detailed fixed price agreement, before we do any chargeable work. Please take the time to check out what our existing customers say, which will hopefully give you a feel for what it is like to work with us.